It's time for another round of the aptly titled segment, THE AUTHOR INTERVIEW! In this episode, I'm thrilled to introduce you to fellow OneFourKidLit alumni, Linda Vigen Phillips, author of the YA novel, CRAZY. Love this cover, y'all. Here she is, to tell us a little about herself, her process, and her amazing new book. Tell us about where you are from and how that place fuels you as a writer. I was born and raised in pristine southeast Oregon. I left after graduating from University of Oregon but Oregon never left me. There is a deep-down reservoir in my soul that holds the sound of lake wind whistling through tall Ponderosas, sun glancing off of Cascade Range peaks, the semi-arid wind carrying sage and juniper scent....more creative resources than any writer could ever need. Growing up in this setting probably influenced my writing more than anything. You wrote a book? Awesome! What’s it about? Crazy is a YA novel written in free verse about fifteen-year-old Laura Wahlberg, who can't imagine life without sketching or painting. When her artist mother has a nervous breakdown the same week Laura's teacher pressures her to enter a prestigious contest, Laura must face her fear that art will send her over the edge, too. Driven by shame and rage, Laura hides her disintegrating home life from everyone, including her best friend. Neither her older sister nor her father recognizes her fear of going insane. Desperately alone, she considers suicide, faith healing, an unlikely relationship with a super-jock, and a new artistic endeavor. When Laura’s mother becomes violent, Laura vows to find the demon that is driving her crazy. Learning that her mother was raped at fourteen and discovering her own inner strength, Laura opens her heart to the mother she never knew. Tell us a little about the process. How long did it take you? Is this your first book ever? What inspired you? The process of writing Crazy has been long and slow, you know like “we sell no wine before its time.” I was busy teaching school, raising twin boys, and being an active minister’s wife when my longtime love of poetry started oozing out of my pores. In my “spare time” I wrote a collection of poems mostly as a cathartic way of dealing with my mother’s bipolar disorder. When a few of them started getting published in literary journals I considered moving toward a chapbook collection. A friend suggested they needed to be a novel, but it took many years and about five revisions before that all came together. How was your journey to publication and what was it like when you arrived? Well, I haven’t arrived yet, so I’ll let you know how it feels when that happens, but I am scheduled for an October 2014 release of Crazy. The journey up to this point in time has been a fascinating ride. I’ve been in love with writing all my life, so going through this publishing process is quite a thrill. 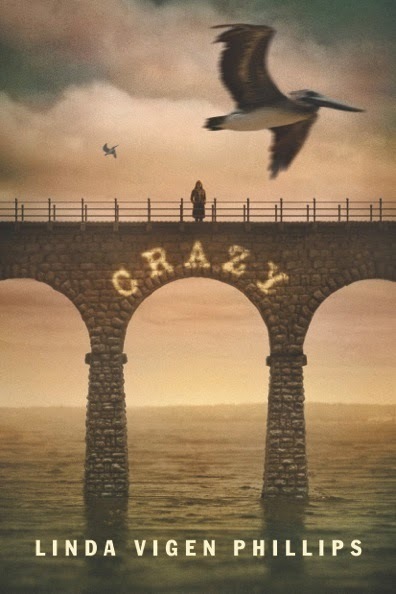 I was at a Lorin Oberweger Free Expressions workshop in 2012 when my agent, Julia Kenny, emailed to say I had just received a third offer to publish Crazy. Needless to say I had a hard time concentrating on the rest of that workshop. 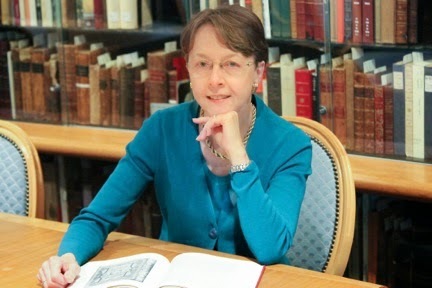 I can safely say that going through the editing process with my wonderful editor, Kathleen Merz at Eerdmans has been like taking a crash course in writing skills. Challenging for sure, but exciting to see the end results, polished to a sheen I never could have achieved on my own. Advice for would-be writers just stepping out. Go to as many conferences and workshops as you can afford, and always try for scholarships when necessary. I owe a debt of gratitude to SCBWI, the Highlights Foundation, and Lorin Oberweger at Free Expressions Seminars and Literary Services for all that I have learned from them over the years. Find a critique group and go regularly, even if you don’t have anything ready to take. You can learn a lot just from critiquing the work of others. Write from the heart and dig deep. You’ll be surprised how many characters and story ideas live just below the surface of everyday life.